Check out this gorgeous photo gallery of sea slugs by National Geographic photographer David Doubilet! 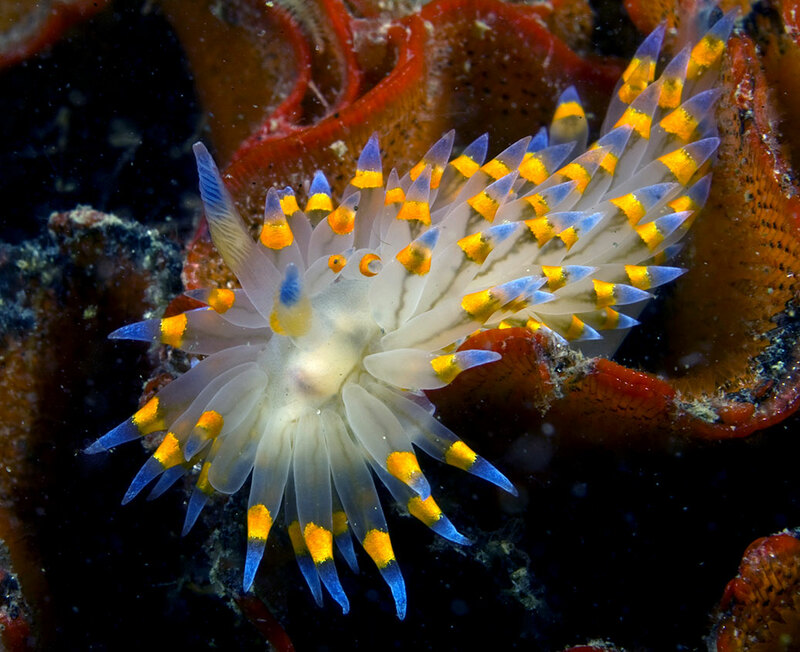 These sea slugs, called nudibranchs, have evolved zany colors for your personal enjoyment, and also to warn predators about the toxic compounds they contain. Some nudibranchs make these compounds themselves, but many extract and concentrate toxins from the sponges they eat. 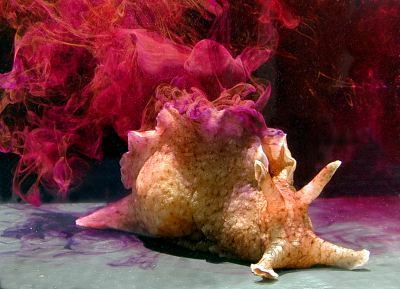 Retaining toxic compounds is far from the only trick that sea slugs pull. Fellow Euthyneurans (the group that contains nudibranchs) like Elysia chlorotica have evolved “kleptoplasty,” whereby they extract the photosynthetic structures (chloroplasts) out of algae they eat, and retain them within special cells in their guts. This allows the slug to get energy from the sun like a plant, for up to 9 months after they eat the algae – Elysia is a temporarily photosynthetic animal! Let’s all take a second to think about how cool it would be to photosynthesize. Another Euthyneuran, Aplysia californica, has been extensively studied for decades as a model of learning and memory. Eric Kandel won the Nobel Prize in Physiology in 2000 for this research. Aplysia has a relatively simple nervous system, making it easier to study what’s going when the slug learns. Kandel and others mapped out changes in individual synapses (the connections between neurons, where the action happens) as they conditioned the slugs the way Pavlov conditioned his dogs. This research regime showed in detail the mechanics of Hebbian plasticity, the theory that “cells that fire together, wire together*.” That is to say, neurons form stronger connections with other neurons that they communicate with frequently. It’s like the way foot paths form after a fresh snow – as more people follow the tracks laid by the first person, the path becomes more defined. This is a fundamental principle in neuroscience, and explains a good deal about how our brains change according to the ways we think. *Dr. Carla Shatz probably said this first.